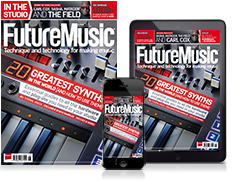 Simon Arblaster and Future Music Editor Si Truss tackle the Grandmother, Moog’s new head of its semi-modular family. Although emblazoned in what has been noted as quite a divisive livery, the Grandmother is pure fun, and rammed with all the character expected from a product with such rich heritage. In this video we go on a voyage of discovery and explore all of granny’s quirks and best bits.